A lively collection of Einstein’s groundbreaking scientific correspondence on modern physics with Schrödinger, Planck, and LorentzImagine getting four of the greatest minds of modern physics in a room together to explain and debate the theories and innovations of their day. This is the fascinating experience of reading Letters on Wave Mechanics, the correspondence between Erwin Schrödinger and Max Planck, H.A. Lorentz, and Albert Einstein. These remarkable letters illuminate not only the basis of Schrödinger’s work in wave mechanics, but also how great scientific minds debated and challenged the ever-changing theories of the day and ultimately embraced an elegant solution to the riddles of quantum theory. 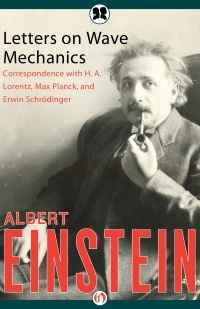 Their collected correspondence offers insight into both the personalities and professional aspirations that played a part in this theoretical breakthrough.This authorized Philosophical Library edition features rare photos and never-before-seen documents from the Albert Einstein Archives at the Hebrew University of Jerusalem.